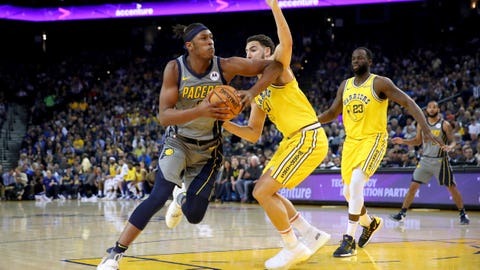 Myles Turner was shut down by the Warriors, scoring just four points. OAKLAND, Calif. — Kevin Durant established Golden State‘s defensive energy by swatting away shots early. Eventually, the Warriors got going on the other end as they almost always do.